Track your stock and inventory accurately and efficiently for Supply Chain Management and Consignment Stock Management. 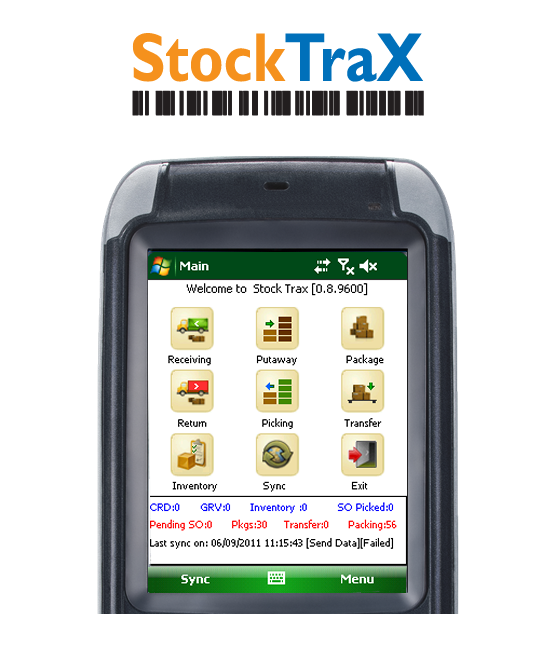 StockTrax is a simple and elegant solution for entry level Inventory Management and Stock tracking for mid-sized companies to manage receiving, counting, put-away and issuing activities. StockTrax is an easy-to-use solution to track and review stock levels for an organization's inventory. It allows for tracking items using bar codes, identifying new scanned items, and to auto-increment or manually update item counts. StockTrax allows for full accounting integration with several of today's popular accounting and ERP systems. It also offers data export capabilities to formats such as CSV and XML for file based upload to other systems. Using PDAs with wireless capability make it possible to use real-time synchronization to manage critical asset and inventory information quickly and efficiently. StockTrax also provides several built-in reports and additional reports can be customized on need basis. StockTrax offers greater efficiency and accuracy through faster picking and receiving, decreased errors, higher compliancy, and accurate forecasting of warehouse resources and demands. The application runs on Windows Mobile 6 and can be used wirelessly to synchronize data over WLAN or GPRS. Get more details of this product.